I decided to back-up and re-group and NOT try to name all the phases of organizing. I will stick with the name that works, “Dive Right In” and not make the process too complicated (no more contests for a while :-()… although I may try to stay with a water theme. I started small with my project (as we all should) and worked under my bathroom sink. I had to separate my personal items from my cleaning items. Fortunately, my bathroom has two (2) sinks, so I didn’t need have to get my husband’s input, but I probably need to know what IS under his sink. You can buy small organizing tools along the way, like this little basket. But there is no need to buy unnecessary items. Now if you have the CASH, then GO FOR IT!!! After the project is complete, we need to develop a road map, NOT literally. But at least, we should have a general idea of what all the items are in the space. 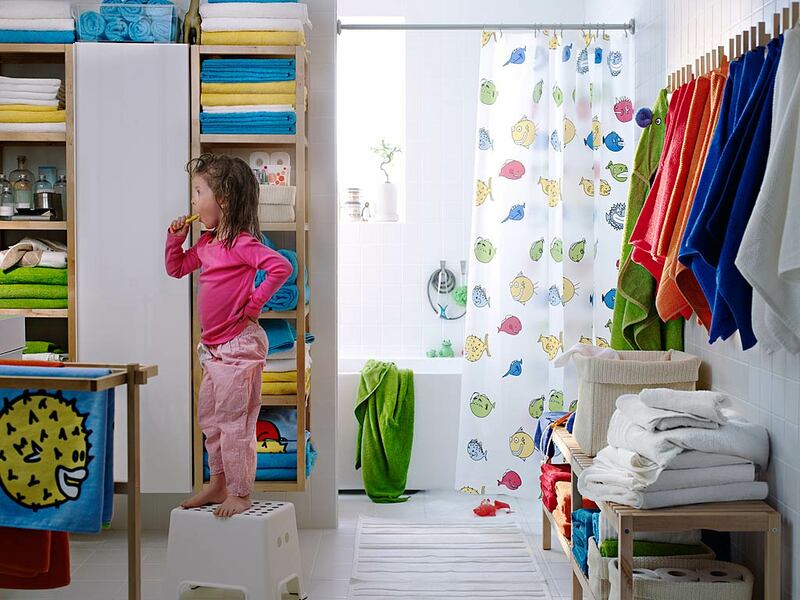 Take others on a tour of the new “organized” space, so that they know where everything is. Now understand that NO organizing system is cast in stone, it continues to evolve. A system is meant to continue to improve and become more effective, the more you use it….. Phase III – What’s Next! Now that we have a rhythm going, let’s go to the next space, using the same process. I am sure that we have made modifications along the way and adjustments based on “Lessons Learned”. With each new space, the process becomes easier and easier. 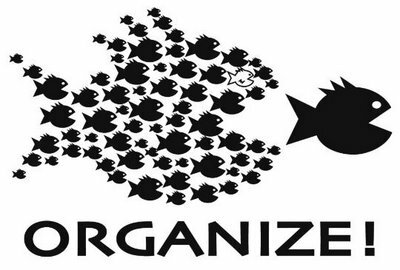 Once you have a “basic” organizing system developed, you can just “roll with the flow”! Now this is VERY IMPORTANT, you have to live in the space and things are going to get out of place. Do NOT create a system that you can’t live with. Just don’t allow the clutter to build and get out of control. We need a maintenance process and we need EVERYONE involved, including the kids. This entry was posted in Professsional Organizing and tagged Bathroom, IKEA, Organizing, organizing tools, Space. Bookmark the permalink. Oh, that is so true about introducing the system to family. I’ve organized a few things before where I’ve forgotten to do this, and a week later all the stuff was mixed back in the same old places. Not fun, lol. I would love for you to link this up at my Making Space Mondays linky party. It’d be great to have a professionals advice!! It is so great to have my information validated. Just let me know how to link up (I am still somewhat technically challenged :-)) and I would love to…. Wow! I haven’t been on the computer in 4 DAYS. Sorry! First of all, I’ve heard it’s easier to link up on my blogspot blog. You can find it at http://www.debtfreemommyblog.blogspot.com and they are both the same link up party so it will show up on my debtfreedecorating blog also. The next one up is on Monday and the post will be called Making Space Mondays, Link up Party #5. When you find that post, go to the bottom and hit the button at the bottom that says “link me up”. It has three little areas to fill in, one with the URL of you *specific* blog post and then your name and e-mail. To link up a specific post instead of your blogs home page, you’ll have to click on your own post as a viewer would and make sure the address at the top of explorer is the long drawn out address that specifically goes to that title. Copy and paste that address into the URL line and hit “next step”. In the next step, you’re just selecting a picture to show up as your button for others to click under. If you’ve got pictures on your blog post then you just select one of those. That’s the only way I’ve ever done it. Once you select the picture you’re done. Just wait a few seconds, hit renew at the top of your computer and check to see if it showed up. And, P.S.–It’s not like people are knocking down the door to link up to my party yet. I haven’t had time to work on it enough for that. So…feel free to go nuts and post links to as many posts as you want people to read. These link-up parties have the potential to really up your numbers! One day I got 600 views in one day from linking to a party. (That won’t happen through my blog, I’m afraid, but it happens). But, you may find some loyal readers through linking up, also. Thanks so much for the info, I will give it a shot! I’m so happy you found me again! Nice to see your link. I love your “dive right in” way of doing things. Sometimes we overthink things instead of just diving in and going to it. I love to plan and think things through, but when it’s time, it’s just time. And if it doesn’t go as planned, you push through it anyway. I would love to see you back here next week with a few posts that I haven’t got to read yet. Don’t think you just get one–post as many as you’d like, all different of course. What’s old to you will be new to them. I am glad to hear from you also. Now that I know how to link-up, I do plan to be back next Monday. Thanks again….Take Care!